Some grasses grow best under warm temperatures (warm season) and others in cooler temperatures (cool season). 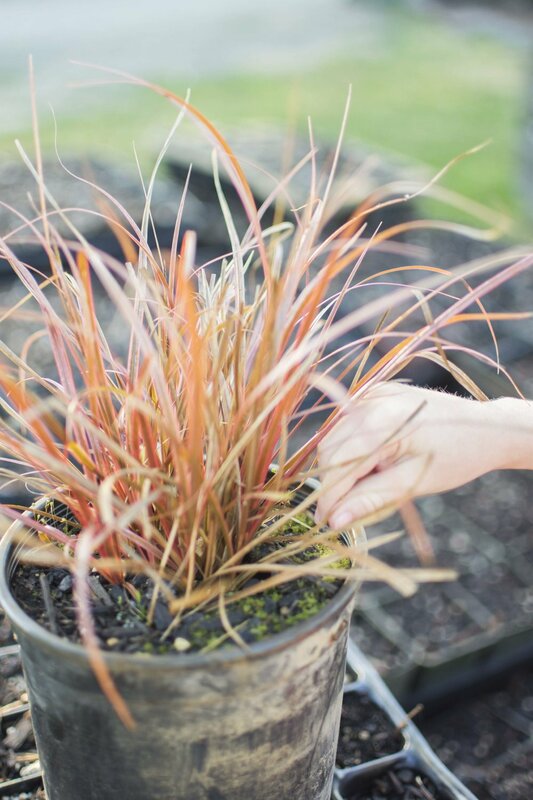 Plant ornamental grasses in the spring. 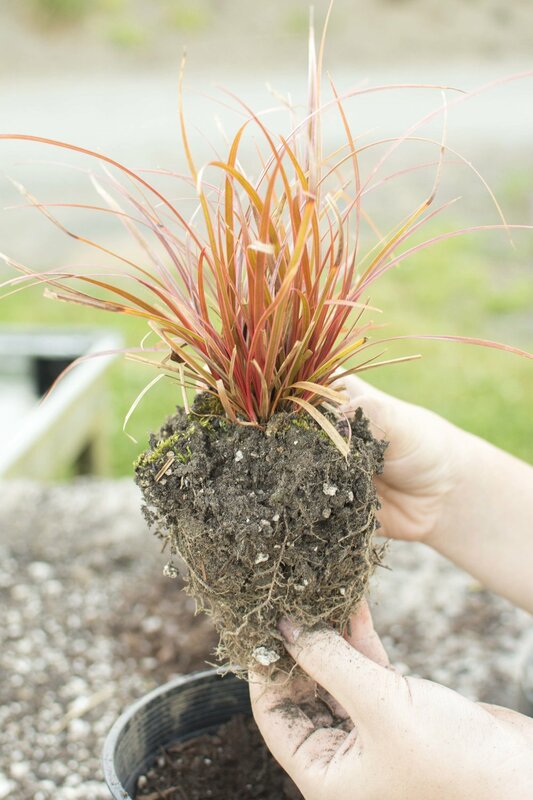 Container-grown grasses can be planted all season. Grasses generally grow best in three to five hours of direct sun each day. In shade, these grasses may not bloom, are often lax and tend to fall over, and may not develop peak fall color. Most grasses can benefit from mulching and many from cutting back, usually just before new growth begins in the spring. Use hedge shears and wear gloves to prevent cuts from the razor-sharp edges of some species. Ornamental grasses need to be well watered their first year. The soil was fluffed up when you dug the hole, so it will dry out faster. The plant's roots are not yet well-established and some of the roots were lost when the plant was dug up. There aren't quite as many roots to take care of the top growth as the plant had planned. Readily accessible moisture makes the job of the roots a whole lot easier. Note: Mulch can be very useful the first year. However, do not mulch right to the crown of the plant. This can cause the crown to rot because of the constant moisture. The next year is a completely different story. Their root systems should be well established, meaning they have gone deep in search of water and nutrients. They can take care of themselves for lengthy periods of time, especially as they get older. Excessive watering will cause them to flop. Regarding the feeding of ornamental grasses is very simple. Grasses actually prefer to be grown on the lean side. They will be sturdier without the addition of the high-powered nutrients. 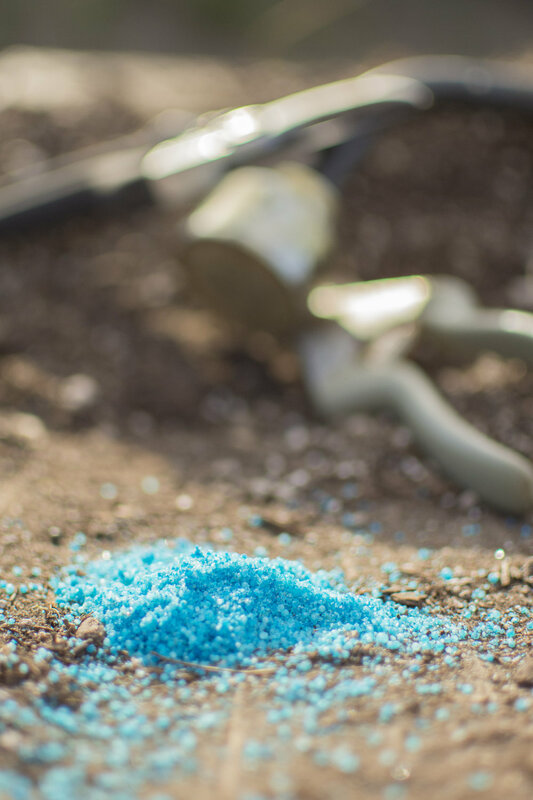 You may think that fertilizers such as are used on lawns would be appropriate for grasses however, tall-growing ornamental grasses will bolt for the sky and with such rapid growth will be unable to hold themselves up. Results are floppy plants. Therefore when it comes to fertilizing ornamental grasses, limit the amount and go easy, once a year is plenty using a general plant fertilizers (10.10.10) And never on the foliage. It is very important to plant your grass where it will have room to grow. Spacing depends on the intended purpose for the grass. A general rule would be to plant larger grasses (those over 4' tall) 4 to 6 feet apart and smaller grass (under 4' tall) 2 to 3 feet apart, depending also on the species. If the grasses are planted too close the effect of the individual plant is lost and the other grass plants will be weakened by too much root competition.